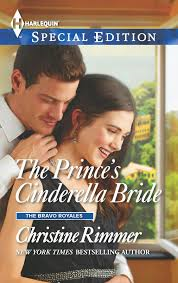 The Prince's Cinderella Bride by Christine Rimmer is a 2014 Harlequin publication. I was provided a copy of this book in exchange for an honest review. From Texas nanny…to palace princess! His New Year's Eve with Lani had rocked Max's world—and now the Texas beauty wanted to be just friends? The single father had sworn he'd never marry again, but Lani had charmed his children and awakened his guarded heart. Will the prince catch his Cinderella before the clock strikes midnight? I really enjoyed this modern Cinderella style love story. Lani was a woman that made some mistakes in her youth, which most of us can relate to. For Lani it was worse because most of her family were over achievers and she sort of stumbled out of the gate. Now she is a nanny while she tries to get her career as a writer on track. Everything was really great until she and Max took their New Year's celebrations to the extreme. Now things are awkward between them. Max doesn't understand why Lani is so against exploring a relationship with him and talks her into giving them a chance. But, due to Max's celebrity things become complicated. Not only that, once Lani opens her heart to Max, she wants the relationship to grow and Max seems to want the relationship to stay at a stand still. Lani is still dealing with the fallout of her past and the strained relationship with her family. She still wants to be successful so they will be proud of her and she wants their approval after all the pain she caused them. It seems that her parents are the ones holding on to the past and have decided to hold something against Lani that happened years ago. She is still being manipulated by them despite the long distance that separates them. Max's backstory is very sad and there is much more going on in his mind and heart than what everyone sees on the surface. He will have a very hard time grabbing the happiness that is there for the taking because of his fear and pain. I thought the book brought out some great points about family and living in the spotlight . People love a fairytale and Max's first marriage had captured the hearts of the media. Now Max is living as though there could never be another woman like his deceased wife. But, is that the reason for his reluctance to marry? I think that many people in powerful positions have found themselves living a life the media has written for them to sell papers. I also think there are many parents that hold back with a child that made youthful mistakes. Years can pass and for some reason parents can't move on from it. The adult child has grown up, begin to work hard to be a productive citizen and still finds they are living in the shadow of their parent's overblown expectations. I also like how Max's children were instrumental in pointing out things Max never considered about Lani and his own self. My name is David Meredith and I very recently came across your book blog. I have released a novel - The Reflections of Queen Snow White - on Amazon.com in the Kindle Store and would be happy to send you a complimentary copy if you would be interested in reviewing it. I have included the dust cover synopsis below. If you are interested, just send me an e-mail via my web-page (below) and I will happily send you a free copy right away. Thank you for your time and I look forward to your response! Thank you for contacting me about reviewing your book. Would you please do me a favor and use the review request form on the right hand side of the blog. This way comments here can be for the book review being featured. Thanks! Such a great review, Julie! Thanks much. 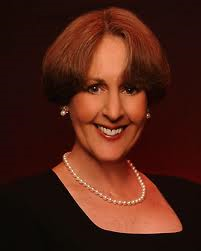 I love your insights into life in the spotlight and recovering from mistakes of the past.